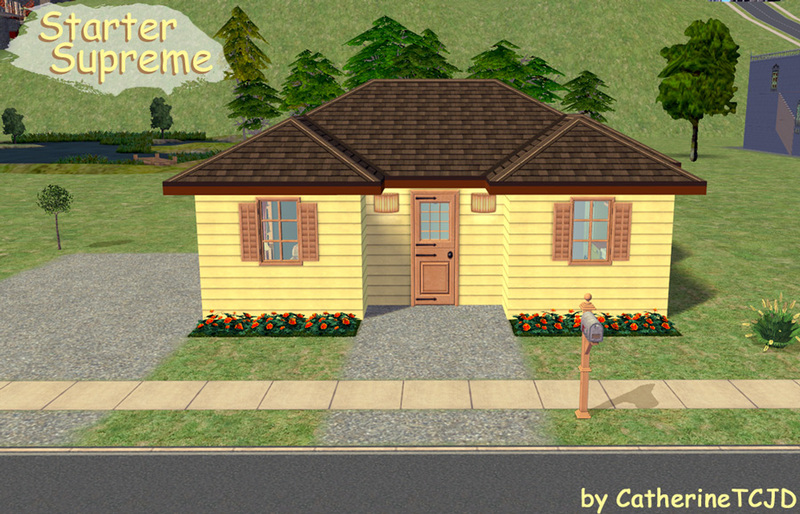 The "Starter Supreme" is a little house with everything! Zoned: Residential, and on a completely flat lot. What there is NOT - there is no burglar alarm, no computer, no microwave, no coffee-maker, exercise equipment, instruments, or stereo. The driveway looks like it's there, but it's not. Also, any artwork/decorations that you want will need to be added. Thank you mysterious fish and Santafish!! Ooooh it's adorable!!! Thank you!! OOh! SantaFish had an early start to the day today!! And no wonder! He must've been very excited about this wonderful gift!! Thank you Santafish! Thank you Santa's Little Helper-fish!